Barnsley Car Service Centre is licensed by the Government’s Vehicle and Operator Services Agency (VOSA). 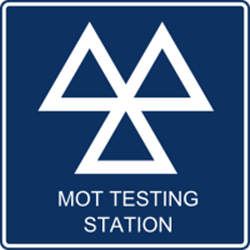 All our MOT Testers are VOSA Nominated Testers who go through a stringent training regime in order to qualify. VOSA Nominated Testers must be skilled mechanics with at least four years of experience in repairing the vehicle types they test, and must achieve a high standard of qualifications in motor craft studies. Barnsley Car Service Centre technicians and testers – and all other members of staff – are also trained to a high level in customer service and satisfaction. Most stations charge £54.85 for a test, as stipulated by the Ministry of Transport. We aim to never be beaten on price and will match or beat any genuine comparable price advertised locally. We do this to give us the opportunity to show you the value of our service and facilities because we are confident that once you have used our company, you will become a regular customer like so many others. Call now on 01226 391400 to make an appointment.